When it comes to IT Security, 2017 was not a good year for many people. With data breaches, ransomware attacks, and security vulnerabilities making headlines around the globe, it appears as if both organisations and individuals were under attack. 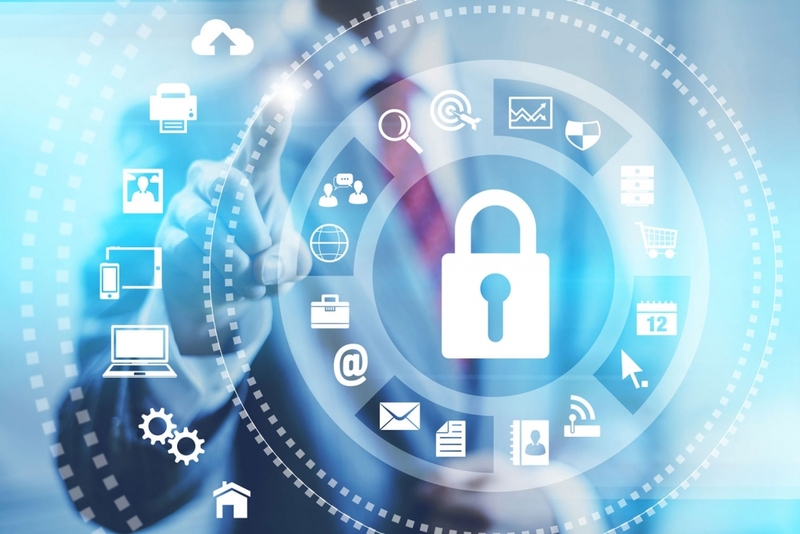 So, how can you protect your organisation and its data? Below is a list of 7 IT security tools that are recommended for organisations to increase their security posture. Although this isn’t an exhaustive list, these are relatively easy-to-use and fairly intuitive tools. Windows 10 is Microsoft’s most secure operating system yet. With built-in features like Windows Hello, Microsoft Edge, and SmartScreen, Windows 10 protects your users’ identities, information, and devices from threats with several threat protection and security management tools. As a comprehensive Cloud solution, Microsoft Enterprise Mobility + Security (EMS) helps your organisation to address the constantly-changing cyber security landscape. By safeguarding your organisation’s resources, EMS helps you track suspicious login activity within your organisation, allowing you to gain a deeper understanding of user, device, or data activities, and also gives you the power to change permissions when necessary. By including such things as single sign-in access to your corporate resources from any device, EMS is the answer for improved security across cloud, on-premises and mobile devices. Hackers and cyber criminals are becoming increasingly effective in using sophisticated phishing attacks to steal a user’s identity and gain access to your environment. Once that hacker gains access – no matter who it is within your organisation – it’s relatively easy for them to gain access to more important content. Azure Active Directory Identity Protection helps protect your organisation by allowing you to configure risk-based policies that will automatically respond to detected issues if the risk level you specified has been reached. Azure Active Directory Identity Protection can use adaptive machine learning algorithms and heuristics that will detect suspicious incidents or anomalies to generate both reports and alerts for you to review. These will let you evaluate what issues have been detected, then allow you to take the necessary steps to either mitigate or remove the threat. As a part of the Windows 10 Anniversary Update, Windows Information Protection (WIP) was introduced to integrate with other Microsoft products like Office 365 and Azure Rights Management in order to increase your security posture. 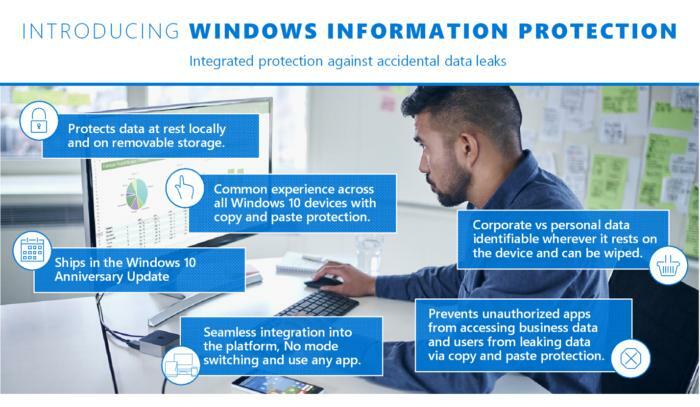 Designed to prohibit corporate data from leaking into personal or public domains, Windows Information Protection helps maintain control of your data. With Windows Information Protection, you can identify personal and business data, determine the apps that can access it, and provide basic controls to help determine what your users can do with business data (for example, you can limit your employees’ ability to copy and paste data to an unsecured location). Office 365 ATP is a multipurpose add-on to many of the Exchange and Office 365 subscription plans. 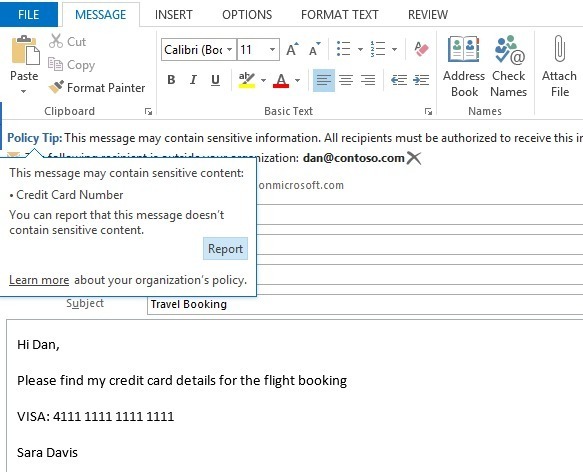 With features like Safe Attachments (protecting you from unknown malware and viruses), Safe Links (proactively protecting your users from malicious hyperlinks in email messages), Spoof Intelligence (detecting senders who are spoofing your domain by pretending to be someone else in your organisation), Quarantine, and advanced anti-phishing capabilities, Office 365 ATP helps protect your organisation’s email, files, and Office 365 applications from any unknown malware or viruses. Helping you gain critical knowledge of who in your organisation is being targeted, Office 365 ATP can give you insight into which users are clicking on malicious links, and investigate which messages have been blocked because of unknown viruses or malware. No organisation wants to find out that their users are passing along sensitive information. So, with Office 365 Data Loss Prevention, you can empower your user to be more conscious about your company policies surrounding the sharing of sensitive information. Through the Exchange Administration Centre in the Office 365 admin portal, your email administrators can set up policies that will tell your Office 365 Data Loss Prevention tool to scan through your user emails (in the background). If the tool determines that a policy is about to be breached, a Policy Tip will pop up in the email window that alerts your users that they are about to pass on sensitive information. Included in the Office 365 E5 (and available to the other Office 365 enterprise plans for a small fee), Advanced Security Management for Office 365 gives you greater control and visibility over your Office 365 environment in these three areas: threat detection, enhanced control, and discovery and insights. Enhanced control lets you set up policies that track specific activities, like flagging when someone downloads more than they usually do, when someone has multiple failed sign-in attempts, or when someone signs in from an unknown or risky IP address. With threat detection, you can set up anomaly detection policies that will alert you of potential breaches in your network. And with the app discovery dashboard, your IT professionals can see your organisation’s Office 365 and other Cloud services usage, which in turn allows you to maximise your investments in IT-approved solutions. Plus, Advanced Security Management for Office 365 will help you determine if there’s any activities from shadow IT occurring within your organisation. Unsure which product is best for your business? To find out more about which solutions are the most suitable for your organisation, contact us today.